Black leather case holds 4 watches (2 on straps and 2 on bracelets) in suede lined compartments. 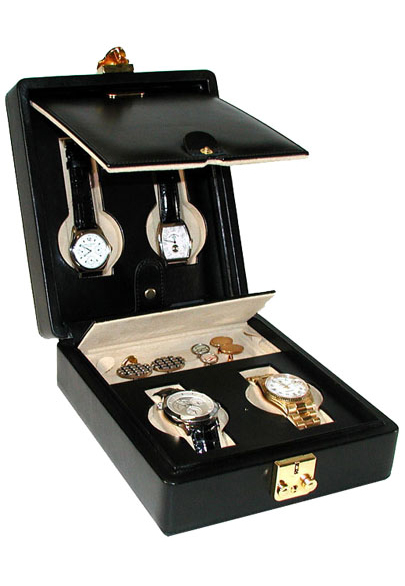 A padded leather panel prevents shifting and protects watches. A removable storage tray is provided for rings or cufflinks.